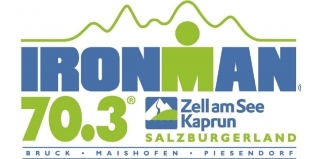 The second edition of Ironman 70.3 Zell am Zee-Kaprun in the Salzburg area of Austria, proved to be a great day for Ireland with Gavin Noble and Eimear Mullan both taking the victories and the $3,000 first place winnings. Mullan, winner of Ironman 70.3 UK for the past two editions, had to use her running strength to achieve top spot. Almost five minutes down on Swiss super swimmer Rahel Küng (SUI) at T1, she was also close on two minutes behind pre-race favourite Eva Wuttti, who produced such a stunning performance at Ironman Copenhagen to become the third fastest female iron-distance athlete in history. Wutti, along with Ewa Buggol (POL) was able to close up to Kung on the bike and also gain another 90 seconds during the ride, leaving Mullan in fourth at T2 with over three minutes deficit on the leading trio. Not to be deterred, Eimear produced a 1:20:25 half marathon - easily the fastest of the day - which was enough to overhaul everyone, including Wutti, to take top spot on the podium. The winning margin would end up at 48 seconds. Noble used his ITU-inspired swim speed to be at the head of the race in the swim, and along with Manuel Küng (SUI) and Nils Frommhold (GER) they quickly secured a breakaway on the bike which by T2 would be of the order of three and a half minutes over the remainder of the Pro field. While Küng faded to sixth, Noble's 1:14:43 half was more than enough to take his first Ironman 70.3 title.